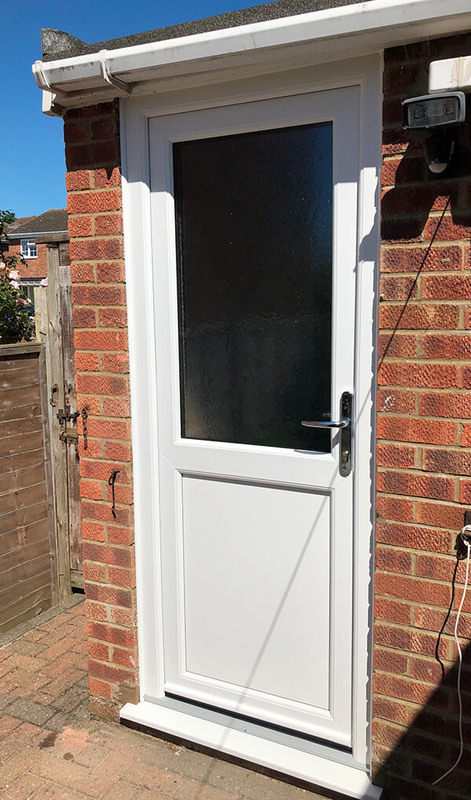 Renowned for their versatility and high levels of performance, uPVC entrance doors are regularly found upon the entranceways to people’s homes. Available in a vast range of designs and glazing options, they can be adapted to suit literally any style of property. If you want to project a positive image of your home, your first avenue for doing so should be your entrance door. As the first thing seen by any neighbours or passers-by, their initial ideas of your home will depend upon it. 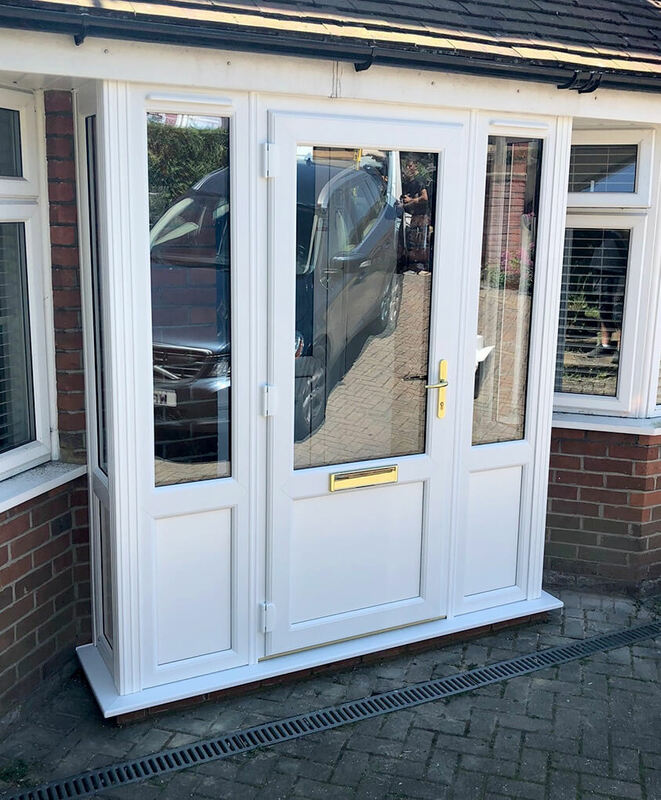 Fortunately, uPVC is an attractive material, which is highly customisable, meaning a uPVC entrance door will reflect your distinctive identity and look great whilst doing so. Because uPVC is a low maintenance material, uPVC entrance doors can be maintained with only the occasional wipe down. They’re also highly energy efficient, ensuring they’ll keep plenty of heat in your home so you can spend less on your energy bills. Fitted with industry leading security hardware too, your home will be as safe as it is warm. 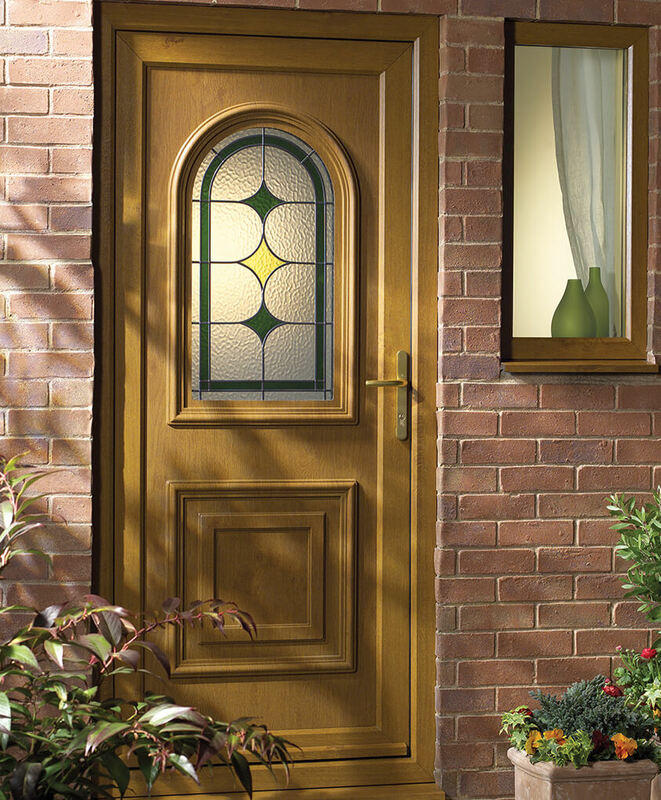 uPVC entrance doors are incredibly customisable - a range of glazing and colour options are available to choose from. Fitted with multi-point locking systems and anti-pick, anti-bump and anti-drill lock cylinders, they’ll provide rigorous protection from intruders. High performing gaskets are in use between the door and the frame, sealing your home from the weather expertly. With a wide variety of high quality finishes to choose from, the doors can be customised to suit a range of aesthetic desires. Pick a shade that reflects your unique personality, or one that adheres to the colour scheme of your home. Whatever your aim, we’ve got a shade to meet it. A portion of glass, of a size of your choosing, can be fitted within our uPVC entrance doors. This can then be customised with a beautiful selection of decorative patterns. 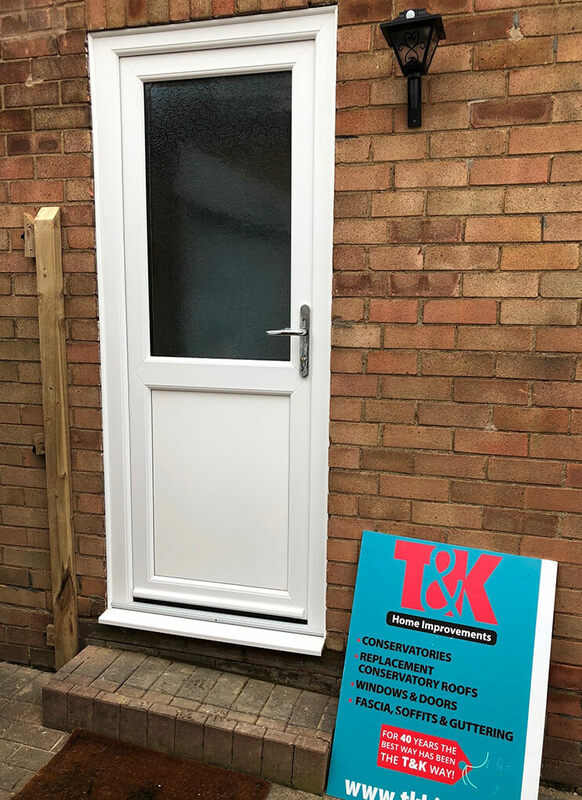 T&K ensures that the quality of the uPVC used is second to none. This ensures for levels of performance that are tough to beat. However, we also install entrance doors constructed from timber and aluminium. 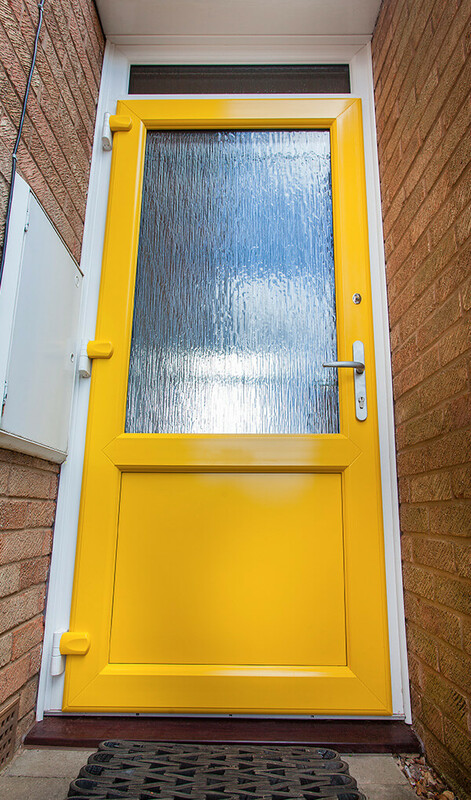 With a range of contemporary and traditional door furniture to choose from, you can adapt the look of the door to suit both your individual desires and the look of your property.